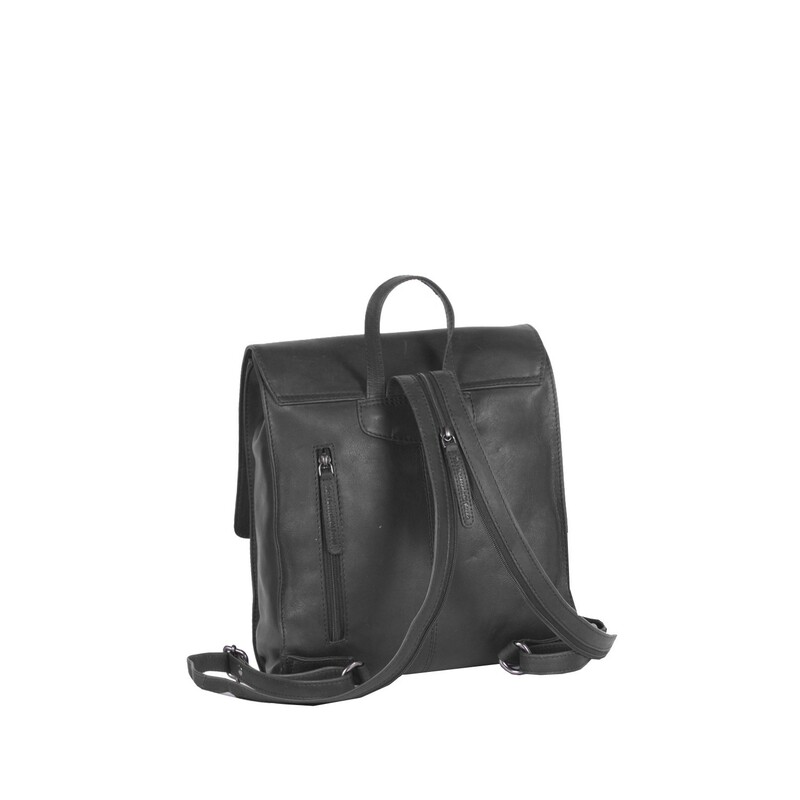 Looking for a trendy leather backpack? Then take a look at the leather backpack Isa. This backpack combines clean lines with a vintage look. It has a practical main compartment and is available in three contemporary colours. 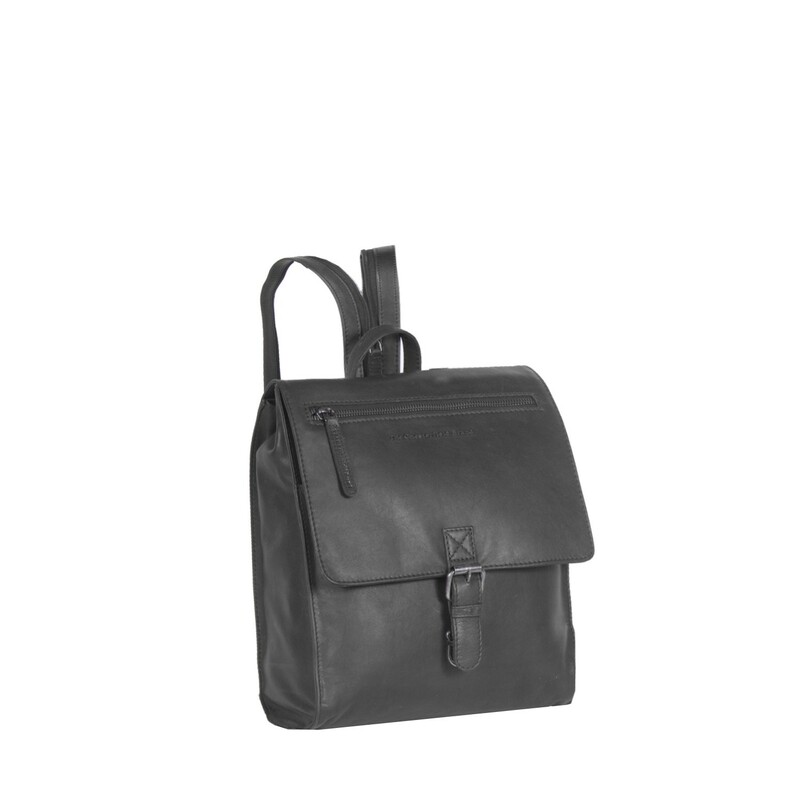 The leather backpack Isa closes with a flap, you can simply slide it shut. The buckle is exclusively decorative. There are various storage compartments underneath the flap. Including a pocket at the front with an organizer. 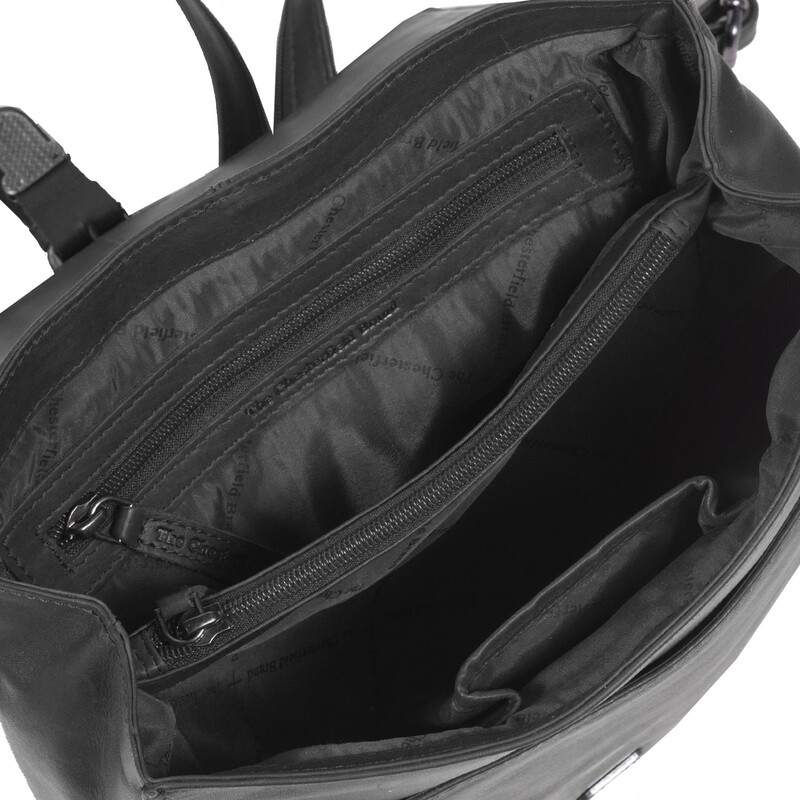 The main compartment is divided into three compartments, one with a zipper. The shoulder straps can be zipped together, turning this backpack into a trendy shoulder bag in no time. This leather Chesterfield backpack Isa is made of high quality Wax Pull-up leather. 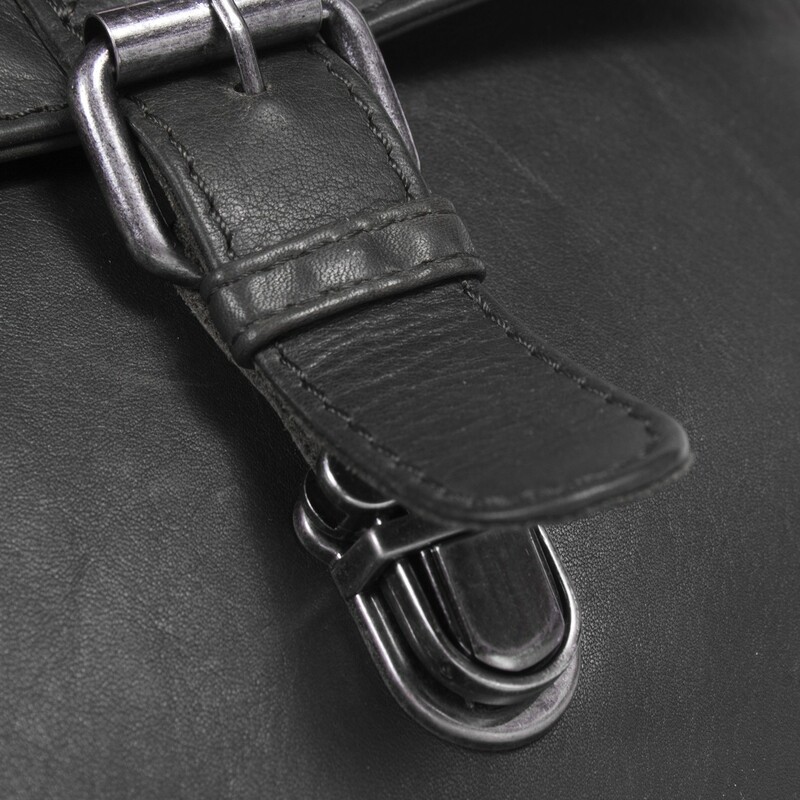 Wax pull-up leather is characterized by a soft and supple structure. 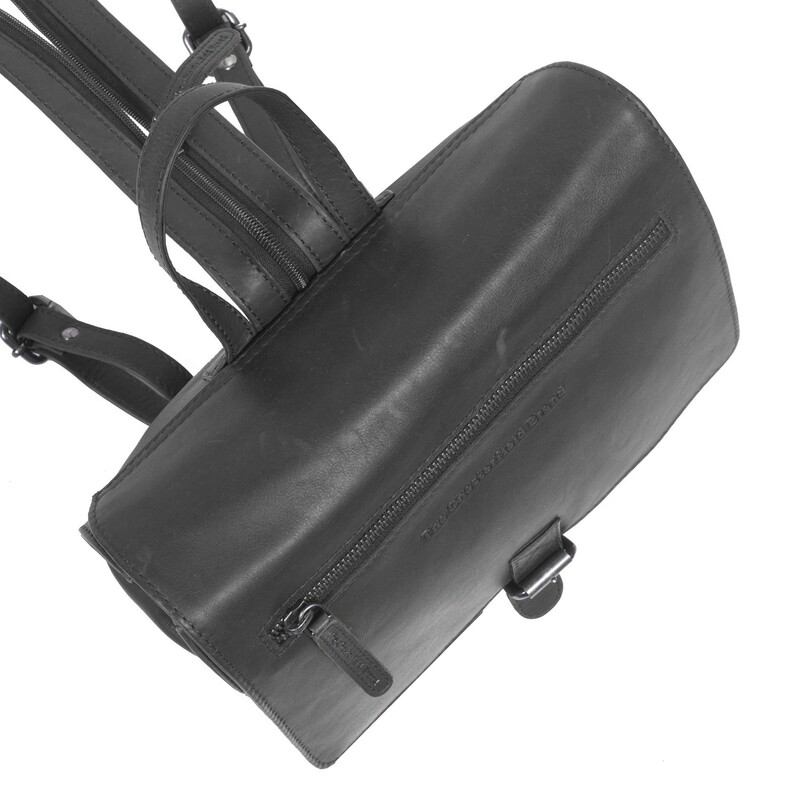 Any signs of wear can be easily rubbed away because of the special wax treatment that the bag has undergone. That way your backpack will look as new for years. If you have more questions about this leather backpack, or other products from The Chesterfield Brand, please do not hesitate to contact us. We are ready to provide you with further information!